One of my favorite tropical cocktails of all time is the piña colada. It’s creamy, fruity and so refreshing, but it’s usually a summer cocktail. Being from the Northeast we usually retire those drinks for the colder months in exchange for something like a hot toddy. 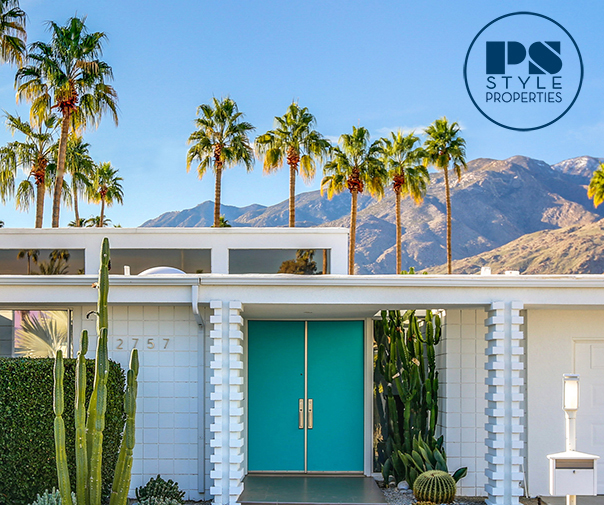 While we’re cold here, it’s still warm, bright and sunny in Palm Springs. I want to keep the warm vibes going but still have a seasonal approach to making drinks at home. That is how the chai piña colada was born! To make the syrup, combine your coconut milk and coconut cream in a pot and heat on the stove over low heat. Stir until incorporated and then add tea and all of the spices. Simmer on low for 10-15 minutes. Let cool and pour into a jar through a fine mesh strainer. Keep refrigerated. My recipe for a piña colada is easy, delicious and fool proof. I always dilute the coconut cream with coconut milk. It makes it easier to work with and doesn’t sacrifice flavor. Infusing this syrup is a great way to slightly change the drink, but I always make a piña colada equal parts. Add all your ingredients to a blender with a cup of ice, blend and pour into your serving vessel. Garnish with freshly grated nutmeg and a cinnamon stick. This chai version might be my favorite piña colada ever! The drink is still creamy, fruity, and refreshing but has nice baking spice notes that I love at this time of year. 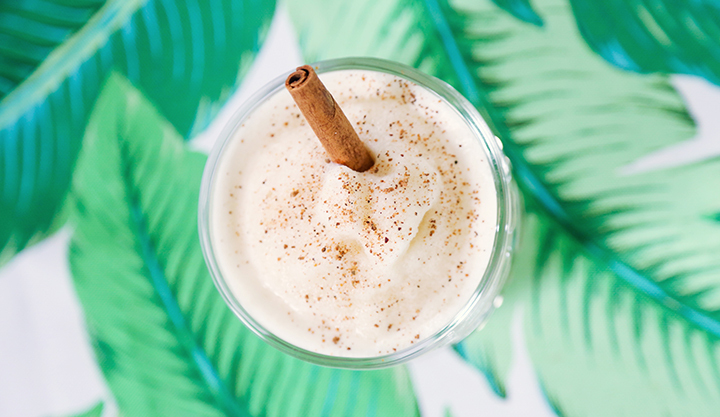 The black tea and spices add so much flavor and a lot of depth to this chai piña colada. Spiced rum compliments all of those flavors perfectly and kicks it up a notch but you can use a dark or aged rum as well. Chai coconut syrup is so good I might even use a little bit in my coffee. When it snows in the Northeast I’ll be sipping on this chai piña colada wishing I was in a flamingo floaty in the pool at the Saguaro!